Capacity 7 - 16 oz. 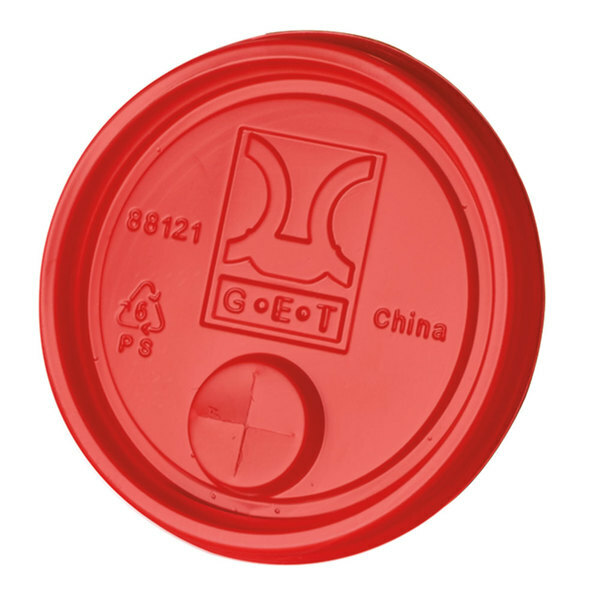 Ideal for retirement communities, health care facilities and meal delivery services, this GET LID-88121-R disposable red plastic lid fits the 8812-1 12 oz. Spektrum tumbler, 9907-1 7 oz. Bahama tumbler, 6612-1 12 oz. textured pebble tumbler, and 3316 Waikiki tumbler or other tumblers with a 3" top diameter to prevent drips and spills. Comes with a center straw slot. These lids are very nice for our plastic small tumblers. They stay on very easily, and are perfect for serving kids sized drinks in! Highly recommend. These are great lids for kids. 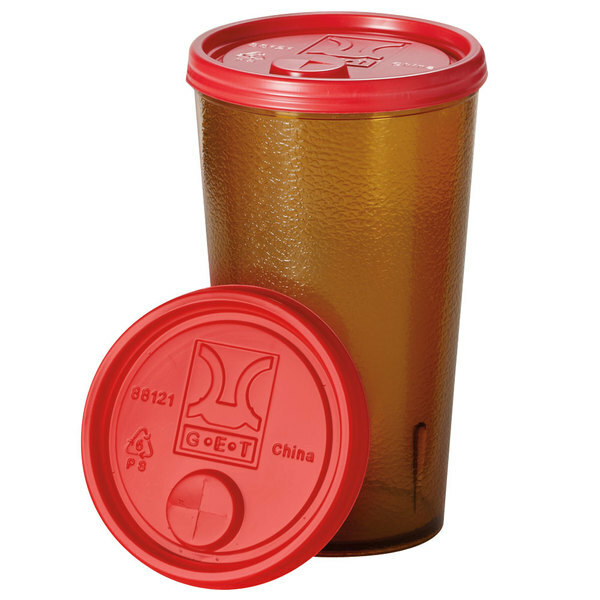 It allows you to safely use a glass or plastic tumbler and prevent spills. Easy to insert and use a straw with it.